With experiences that encompass major choral/orchestral works to European performance trips, appearances at professional conventions, opera workshops and jazz performances, a degree in music provides you with lots of opportunities. Music is more than a skill to master. Throughout human history, music has expressed individual feelings, communal values and societal conventions. As you study music theory, history and performance, you connect time, language and culture while developing a greater understanding of and appreciation for beauty at its purest. An education in the arts lays the foundation for a life more deeply connected to the community and world around you. If you major in music education, you’ll select a specific area of certification or may choose to be certified in all areas. You also may pursue a music minor or a liturgical music minor. A music degree from St. Norbert College also prepares you for graduate studies in fields such as conducting, performance, history or musicology, composition, theory or music therapy. All students planning to attend St. Norbert College are invited to audition for a music scholarship. When you enroll, you’ll have many opportunities to perform, no matter your musical interests. More than a dozen auditioned and nonauditioned instrumental and vocal ensembles welcome students at every ability level. You’ll perform in extraordinary venues, which include the Abbot Pennings Hall of Fine Arts, Old St. Joseph Church and Dudley Birder Hall. As a music student, you can participate in a music organization and join the regional community in auditioning for music theatre productions. On campus, you might participate in the popular Knight Theatre student organization, perform throughout the year with the Knights on Broadway vocal ensemble, or connect with middle and high school musicians in the college’s annual Winter BandFest. 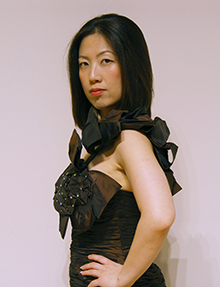 Soprano Yi-Lan Niu (Music) undertook a concert tour in Asia in company with guitarist Christopher Cramer from the faculty of Beloit College (Wis.). In addition to newly arranged Chinese folk songs, Niu presented four varied programs that included the world premiere of a piece by New York-based composer Alexander Nohai-Seaman. The tour began at Taiwan’s National Concert Hall and continued with several presentations at Dharma Drum University and in Spatial & Timing Arts, a gallery and performance space. Suzuki Guitar Singapore coordinated the final recital, at Singapore’s Little Arts Academy. Each year, the music department offers a wide range of concerts and recitals featuring faculty members, students, guest artists and ensembles of all sizes. Many are free and open to the public. Area high school actors, singers, dancers, orchestra members and backstage crew members are invited to audition for Next Stage, an intensive summer program held on the St. Norbert College campus.